Dr. David H. Beyda is the founder of Covenant Medicine Outreach. 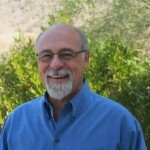 He is Division Chief of Critical Care Medicine at Phoenix Children’s Hospital and Professor of Child Health at the University of Arizona College of Medicine-Phoenix, where he is also Chair of the Department of Bioethics and Medical Humanism. Dr. Beyda directs the Global Health program, which offers a Certificate of Distinction in Global Health. 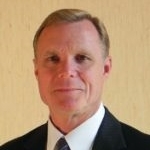 He also serves as Chairman of the Bioethics Committee of Phoenix Children’s Hospital. Dr. Beyda attended Loyola University Stritch School of Medicine, completed his pediatric residency at the University of Louisville Kosair Children’s Hospital, and completed his pediatric critical care fellowship training at John Hopkins University. He was appointed as a Visiting Fellow and Scholar at the Kennedy Institute of Ethics and the Center for Clinical Bioethics at Georgetown University in Washington, D.C., where he completed his training in medical ethics. His expertise is in the areas of neuro-resuscitation, medical ethics and third-world medicine. For more than forty years, Dr. Beyda has volunteered his expertise abroad. He founded and is a member of the Board of Directors of the Children’s Heart Project, which provides comprehensive cardiovascular care to children in Sri Lanka. He is the founder and Medical Director of Medical Mercy, the medical arm of One Child Matters, traveling 6-8 times a year to care for children in over 20 countries, a few of which include Cambodia, Swaziland, Mozambique, Kenya and Ethiopia. 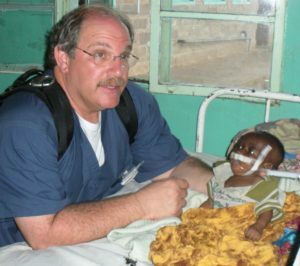 Since 2004 he has made over 60 medical trips to third-world countries serving underprivileged children. He is a pilot and physician who enjoys bush flying, especially taking his medical teams to isolated areas of Africa and Cambodia. Pediatrics and most recently received the Humanitarian Award from the Arizona Medical Association. Dr. Beyda desires to continue his life of international service to impoverished and underserved nations, so he established Covenant Medicine Outreach in 2015. The organization is in the process of securing its 501(c)3 designation. 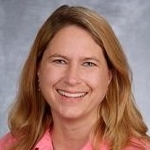 Dr. Lara Yoblonski is a board certified pediatrician in Phoenix, Arizona. She is currently licensed to practice medicine in Arizona. 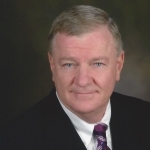 Monte C. Strait is a volunteer and Board member of a 501(c)(3) organization that raises money for small local charities throughout Kansas that do not have a national funding basis. 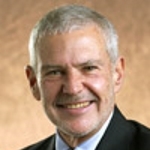 Charles (Chick) Arnold, partner with Frazer Ryan Goldberg & Arnold LLP, is a leading lawyer and advocate for the rights of the elderly and mentally ill.